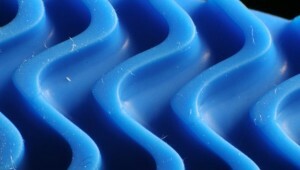 Rubber is a material widely used, especially in making tires. Tires are normally made stronger by the use of vulcanization. This is a process in which sulfur or another substance that has the same features will be added. Due to this addition it is ensured of stronger bonds of polymers, thus prolonging the life of the tires and adding elasticity. Sharp objects remain a problem. The compounds are broken and can’t be restored. By replacing sulfur for the substitutes carbon and nitrogen, the compounds may be recovered again. This happens at room temperature, as is shown in research. The material healed in eight days. The rubber could withstand 52 bar. That is more than the current tires. After the first ten minutes, when the rubber is heated to a 100 degrees Celsius, the process speeds up. It is because of carbon and nitrogen components that the rubber heals itself.